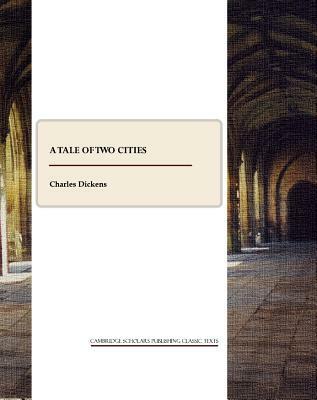 A Tale of Two Cities is unusual among Dickens's novels both for its historical setting and its strong political stance, dealing as it does with the French Revolution. Nonetheless, it has the same qualities as fiction, and popularity, as his other major novels. Charles Dickens (1812-1870) is one of the most widely read English writers. Dickens started his writing career as a freelance reporter for the proctors in the Court of Doctors' commons, which later served as a source of information and inspiration for many of his vivid characters and social novels. In 1832, at the age of 20, he became a reporter on The Mirror of Parliament and on The Trues Sun. Dickens reported from the gallery of the House of Commons. He soon moved to larger newspapers which presented him with the opportunity to publish a series of papers. Sketches by Boz and Pickwick Papers were published in 1836, the year he married Catherine Hogarth with whom he had 10 children and whom he divorced later in life. Dickens wrote relentlessly with his first novels appearing in monthly instalments, a popular fashion at the time: Oliver Twist (1837-1839), Nicholas Nickleby (1838-1839), The Old Curiosity Shop (1840-1841) and Barnaby Rudge: A Tale of the Riots of 'Eighty as part of the Master Humphrey's Clock series (1840-1841). Numerous other novels followed: David Copperfield, Bleak House, A Tale of Two Cities, Great Expectations, Our Mutual Friend, and the unfinished The Mystery of Edwin Drood. Presenting his readers with a plethora of vivid characters, Dickens's novels were a medium for social commentary as he was a fierce critic of poverty and social divisions of Victorian society. Many of his novels have been adapted for theatre, cinema and television.